Welcome to Victorian Chocolate Shoppe. From the minute you step into our old time candy store the chocolate aroma over takes you. 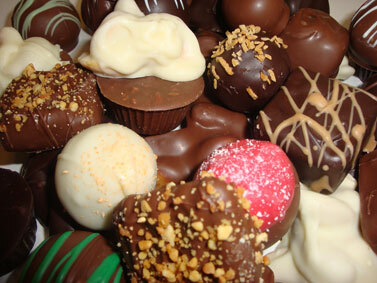 Prepared in small batches to ensure the finest quality we offer over 80 varieties of homemade hand-dipped chocolates. Our large selection of nostalgic candy will bring back memories of days gone by. Stop in to get our famous chocolate dipped raspberries available year round (they're to die for).